Suitable for all hair types. 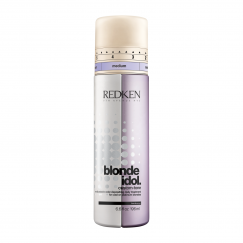 Our formula aims to help dry hair, leaving it feeling soft, smooth and looking beautifully shiny. No parabens. Each step of the Supreme Oil Moisturising Haircare Collection is enriched with a selected combination of atleast two of the following naturally-derived oils: Argan, Sesame, Jojoba, Apricot, Rice Bran, Sunflower, Olive and Avocado. 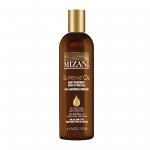 Delivers intense moisturisation to leave hair feeling exceptionally soft. Leaves hair and skin feeling nourished. Leaves hair and skin feeling soft and silky. Locks out humidity to reduce the look of frizz. To condition locks, braids and natural hair extensions.